Full Scholar, Graduate School, Philippine Baptist Theological Seminary. Graduation Recital: Vivaldi’s Gloria. Lucio San Pedro’s Sa Dalampasigan (By the Seashore) Grade Mark: Excellent. Comprehensive Exams in Conducting. Grade Marks: Excellent. 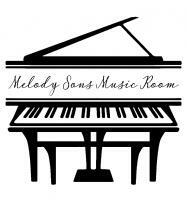 Individual Piano and Voice Instructor, Falls Church Music Conservatory, USA, 2013. Pianist/Accompanist, Indiana University Southeast Community Chorus, USA, Spring 2012. Individual Piano and Voice Teacher, Seymour Christian Academy, USA, Winter 2012. Voice Teacher, United World College of Southeast Asia, Singapore, 2009-2011. 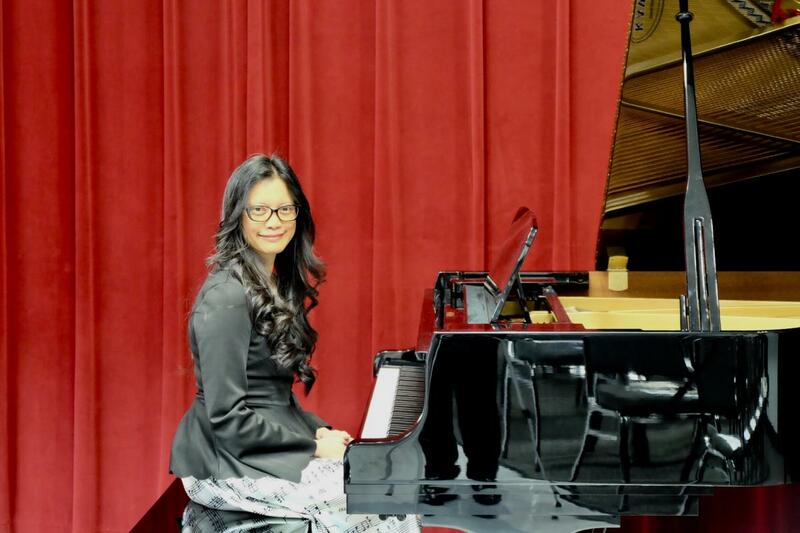 Founder/Owner, Piano and Voice Teacher, Teklado Musik Pte.Ltd., Singapore, 2009-2012. Individual Piano, Voice Teacher and Piano Class Instructor, Kawai Music School, Singapore, 2007-2008. Individual Piano, Voice Teacher, Piano Class Instructor, Motivate Music School, Singapore, 2005-2006. Assistant Choir Conductor, CHIJ St. Nicholas Secondary Girls School, Singapore, 2006. Assistant Choir Conductor, Fairfield Methodist Secondary School, Singapore, 2006. Assistant Choir Conductor, Tanjong Katong Secondary Girls School, Singapore, 2006. Assistant Choir Conductor, Singapore Chinese Girls School, Singapore, 2006. Founder/Owner, Music Director, Piano and Voice Teacher, Teklado School of Music, Philippines, 1998-2006. Founder/Owner, Sonatina Toddler School, Philippines, 2004-2007. High School Music Teacher, University Science High School, Philippines, 1994-1996. Philippine Rice Institute Choir, 1998 to 2001. Bureau of Fishery and Aquatic Resources Choir, 1998 to 1999. Research and Extension of Central Luzon State University, 1996 to 1998. Bureau of Post Harvest and Research Extension Choir, 1996. Private Home Piano Lessons, Philippines, Singapore, 1990- 2012. Choir Director, The Living Word Fellowship, Singapore, 2006-2010. Choir Conductor (Tagalog Service) and Pianist, International Baptist Church, Manila Philippines, 1996-98. Pianist, Calvary Baptist Church, Baguio Philippines, 1994-1995. Choir Conductor and Pianist, University Baptist Church, Manila Philippines, 1991-1993. Choir Conductor and Pianist, Calvario Evangelical Church, Meycauayan Philippines, 1989-1990. The Living Word Fellowship 100 Voice Choir, Singapore, 2006- 2010. School Concerts and Singapore Youth Festivals, CHIJ St. Nicholas Secondary Girls School, Fairfield Methodist Secondary School, Tanjong Katong Secondary Girls School, Singapore Chinese Girls School, Singapore, 2006. Teklado School of Music Ensemble, Philippines 1998-2005. Government and Private Company Social Activities, Funded Concerts, Singing at the Philippine Senate, Government Institutions, 1998-2001. Alto, Singapore Symphony Chorus, 2006-2010. Alto, Philippine Baptist Theological Seminary Tanglaw Choir, 1994-1995. Alto, The Singspiel Choral, Santa Isabel College, Philippines, 1988-1993. Alto, Mixed Choral Festivals, Cultural Center of the Philippines, 1988-1993. Alto Section Leader, Grace Testament Church, 1984-1988. Students Recital, Various Schools, Philippines and Singapore, 1996-2011. Asian Choral Music, Singapore, Oct 2009. Music Camp, Teklado Musik Pte.Ltd, August 2009. Trinity Guildhall, Singapore, Sept 2009. Trinity Guildhall, Singapore, Oct 2008. Associated Board of the Royal Schools of Music, Singapore, Aug 2008. Associated Board of the Royal Schools of Music, Theory and Higher Grade Practical Lessons, Oct 2006. Conducting Masterclass, Sacred Music Conference, Trinity Theological College, Singapore, August 2006. "The Use of Instruments in Worship,” Hongkong, 2003. Kodaly Method, Kodaly Society of the Philippines, 1998-1997. The Art of Piano Accompanying, Philippines, 2003. Dalcroze Methodology Seminar/ Workshop, Philippines, 1992. Suzuki Method Seminar/Workshop, Philippines, 1992.